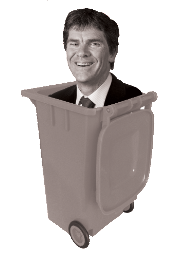 The Ratepayers’ Alliance has today launched a "These Councillors are Rubbish" campaign exposing two of the “Terrible Ten” Auckland Councillors who allowed Len Brown to hike rates by 9.9% last year, and are failing to prevent changes to local waste services which will see some households pay twice as much for domestic waste collection. This is the first step of our campaign to name and shame those who have supported Len Brown’s high rates, high debt agenda. Penny Webster, who Len Brown appointed as chair of the Council’s Finance and Performance Committee, has allowed the Council to effectively max out the credit card and risk a credit downgrade which would see ratepayers, who can ill afford it, pay even more. Councillor Wayne Walker is just as bad. He stood on a platform of ‘fair rates’ and a rates cap. In fact, Cr Walker voted for Len Brown’s 9.9% rates hike. 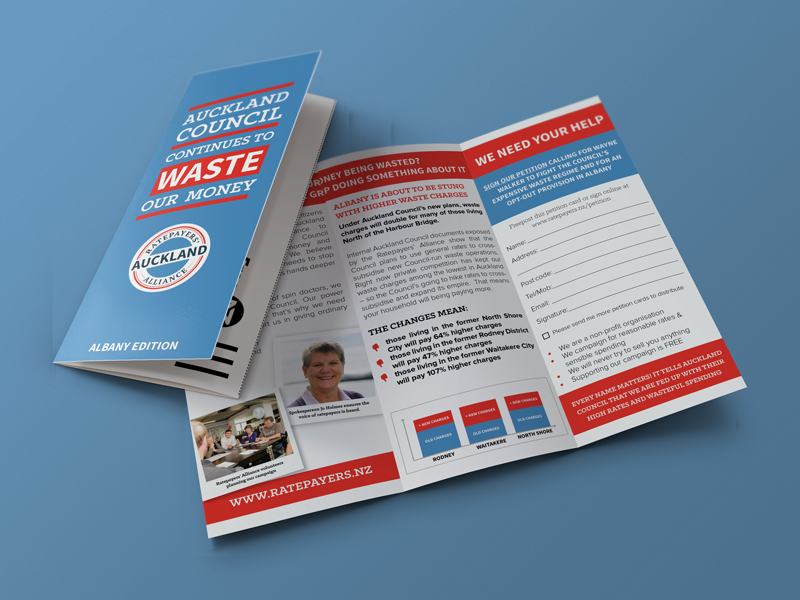 In these particular leaflets we’ve highlighted the waste issue, as we believe it is an area with the local ward councillors have really let down the communities they are supposed to serve. They have allowed Auckland Council to force upon Rodney and Albany a ‘one-size-fits-all’ approach which will end up costing households much more. Work by the Ratepayers’ Alliance shows the Council’s new waste regime will cost Rodney and Albany ratepayers far more, despite Councillors Webster and Walker trying to convince voters that it will be “efficient” (see briefing paper below). the former Waitakere City will pay 107% more. Those North of the Harbour Bridge have generally had lower costs for household waste disposal than the rest of Auckland thanks to a private competitive market. What the Council wants to do is take over the market and force out the competition by subsiding Council operations with rates income. It’s the ultimate in Council empire building which, even according to the Council’s analysis, will cost households much more. There is still time for the Council to stop these expensive changes. That however is going to require a change in tune from the sitting councillors, or a clean sweep of the “Terrible Ten” at this year’s election. Voters won’t forget who these Terrible Ten are – we won’t be letting them. The leaflets call on members of the public to sign a petition calling on Councillors Webster and Walker to stand up for their local communities. 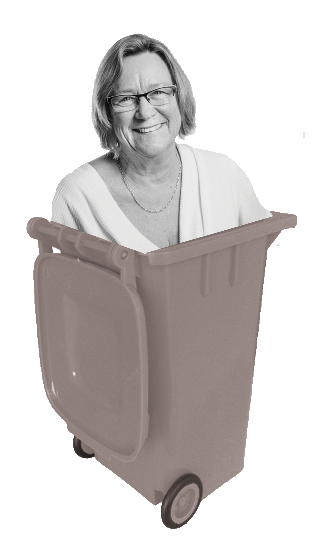 I call on Councillors Wayne Walker and Penny Webster to fight the Council's expensive waste regime and for an opt-out provision in their wards.